My husband, Sir Wes, took a trip to his hometown recently, Fairhope, Alabama, AKA- LA. He thoughtfully brought me back a sack of fresh Silver Queen corn from one of the local delicatessens of lower Alabama. The roads of southern Alabama are filled with stands selling the local bounty, and I, along with the rest of Alabama just love it! We had a few cobs before we had to head out of town so I cut the rest off the cob and stuck it in the freezer for another day. Silver Queen Corn in all its glory! While summer usually demands light and easy food, there are times when you crave a rich, comfort dish. 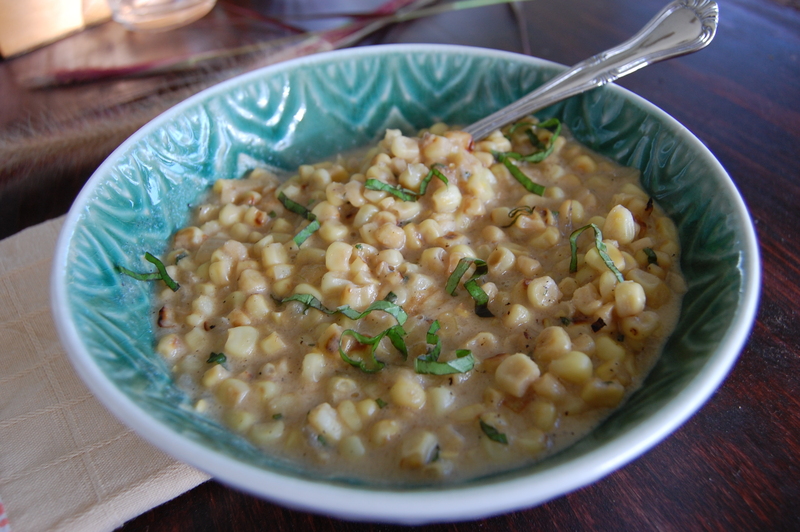 Making a risotto out of summer corn provides a little bit of both! Mise en Place for a untraditional risotto! Start by heating the olive oil in a medium pan and add the onions and chopped garlic. Sauté over medium high heat for a few minutes until the onions become translucent. 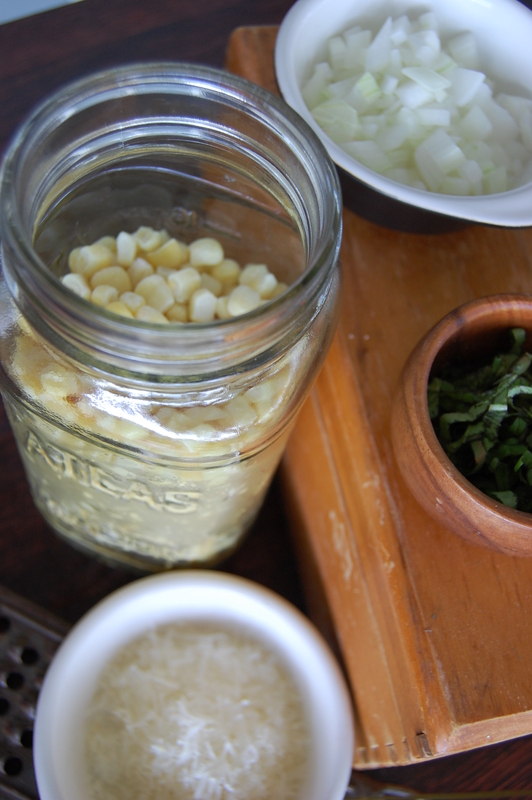 Add corn kernels and sauté until slightly toasted, bringing out the natural corn sugars. Add the wine and deglaze the pan. 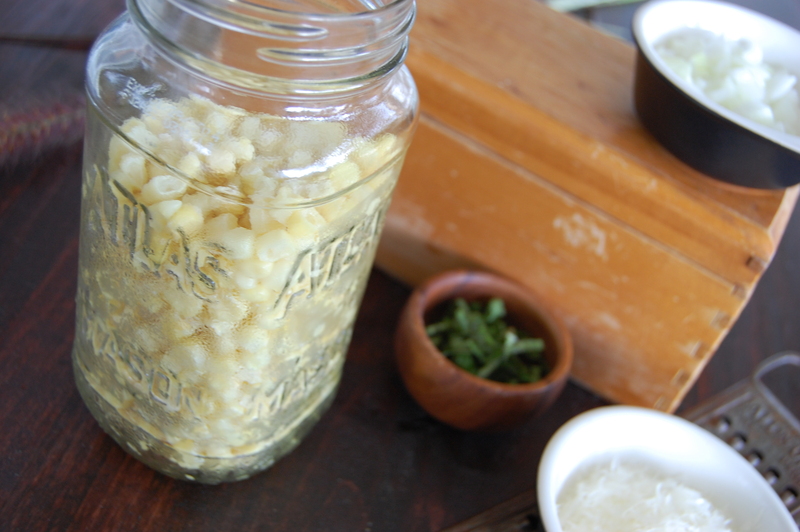 Slowly add the chicken stock, ½ cup at a time simmering to release the starches from the corn. 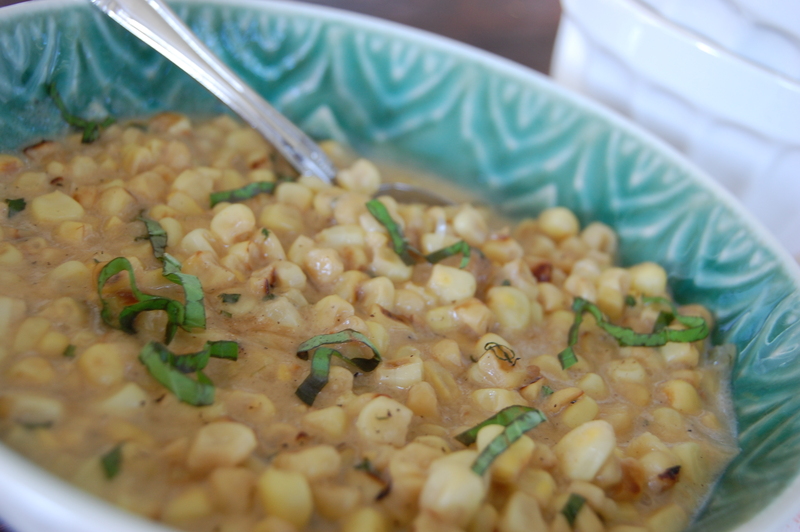 Sprinkle the corn meal into the pan and stir continuously, while the broth starts to thicken. Pour in both milks, simmering for a few minutes; afterwards adding in the parmesan and basil. Season the risotto with salt and pepper. Serve immediately. Add in grilled shrimp or chicken to make a perfect meal! Sweet and Cream Corn Riso! Thanks to Sir Wes for this great gift from the Alabama farmers. 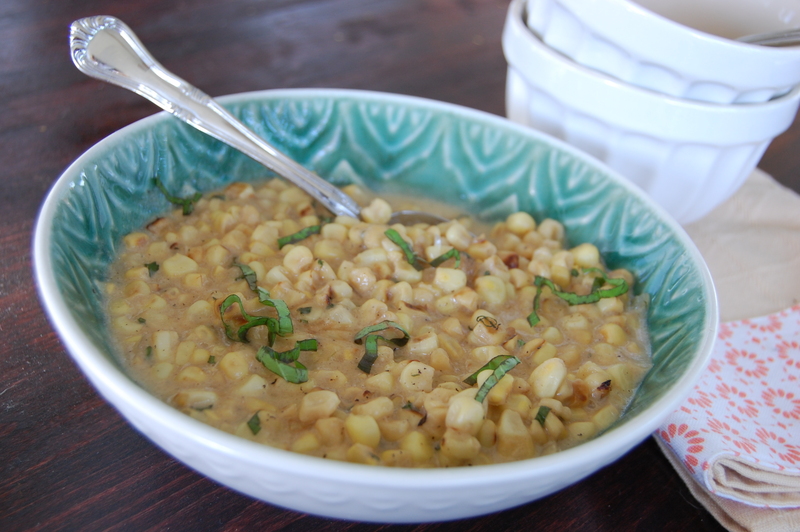 If you haven’t ever tried this variety of corn, you must! Basil adds the perfect touch! Cheers to long summer days, pool pruned fingers and the gifts from the cornfields! 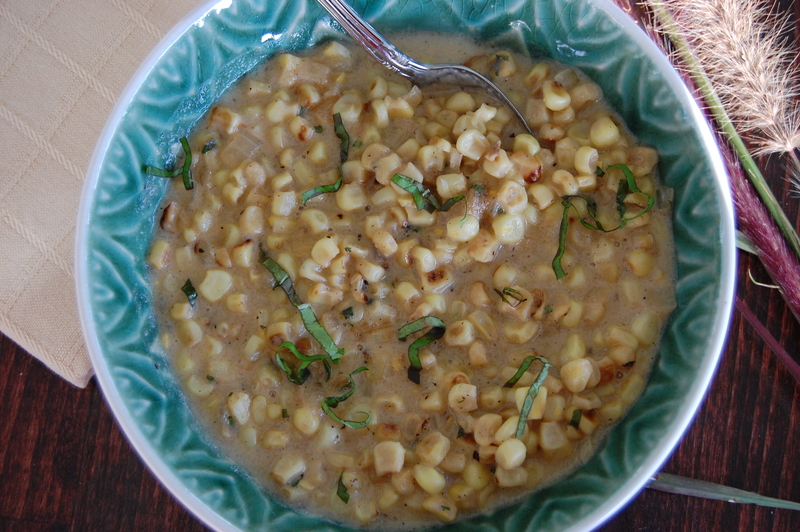 This entry was posted in Recipes, Starches, Vegetables and tagged Alabama Produce, Corn Risotto, Silver Queen Corn. Bookmark the permalink.